We've had some pretty darn cold temperatures as of late, but that's not stopping Nandinas any. 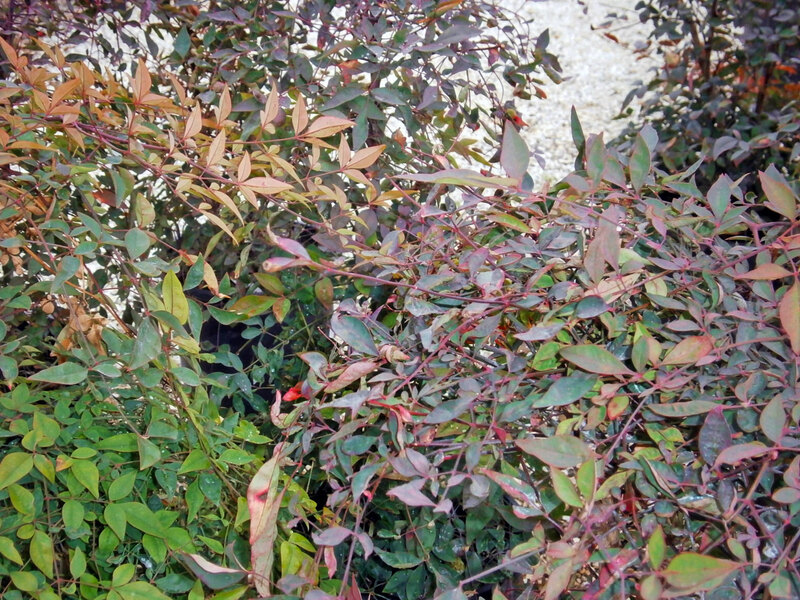 Vibrant green all summer, evergreen Nandina plants turn shades of peach, red and purple in winter. There are lots of different types of Nandina, reaching different sizes. For this article, we'll talk about Compact Nandina also known as Nandina domestica 'Compacta' also also known as Dwarf Heavenly Bamboo. But it's not related to bamboo. To make it just a little more complicated, there are also different varieties of Compact Nandina like "Gulf Stream", "Moon Bay" or "Nana". Yeahhh, for now let's just talk about the regular one. Compact Nandina will grow about 4 or 5 feet tall and 2 to 4 feet wide. As the name suggests; you guessed it, it has a compact shape. Full and bushy, this plant is a great filler for empty spots, but small enough to fit into any landscape. Over time, it will spread by underground rhizomes, giving it a clumping appearance. You could even plant it in containers! 'Compacta' has interest in the garden year-round. 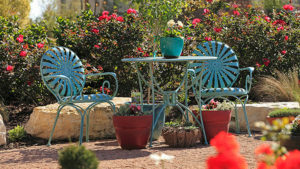 In spring, you can expect new growth to have a copper hue before maturing to bright green. The foliage has a soft, lacy or feathery appearance. Delicate looking small white flowers will also appear in late spring to summer. Red-orange berries follow in late summer through winter. A plus for bird watchers! Winter foliage turns to shades of scarlet and burgundy. This plant is easy to maintain and has few pests or disease problems. Compact Nandina will tolerate a variety of soil types as long as its not too boggy or too sandy. Like many of the plants we carry at The Garden Center, it's drought tolerant once established and deer resistant. One of the great things about Nandina is that you can plant in sun, shade or anywhere in between!